I have an NES, a CRT, a PowerPak, and a Zapper. Do you also need to shoot targets or select menu items, or do you just need to know when the trigger is pulled? The existing issues are: the title screen menu occasionally goes down two items when shooting outside the TV (not sure if this still happens in the latest ROM), and about 10% of in-game shots do not register. Neither of these happens in emulators - in emulators, the menu always goes down one item as it should, and all shots register. I don't have the hw to do zapper testing, but debugging this should be fairly quick for someone who does. His Zapper is in good condition, so I don't know how it differs from emulated behavior. I can't comment on if new functionality is wanted, that's up to Jedi. The title screen works fine now. In-game trigger pulls are still an issue, though. calima mentioned that there was little/no room for code to add target behavior for the Zapper in-game. Instead, we added that functionality to the gamepad (holding 'left' or 'right' is like aiming the lightgun). I'd be grateful if this could still be done with the Zapper though. I'll pay you the same rate, tepples. Can you make a "frames since last trigger pull" variable and not register another pull if it's been fewer than ten? The spurious pull on the title screen is fixed, so the only remaining issue is that in-game pulls are sometimes missed. 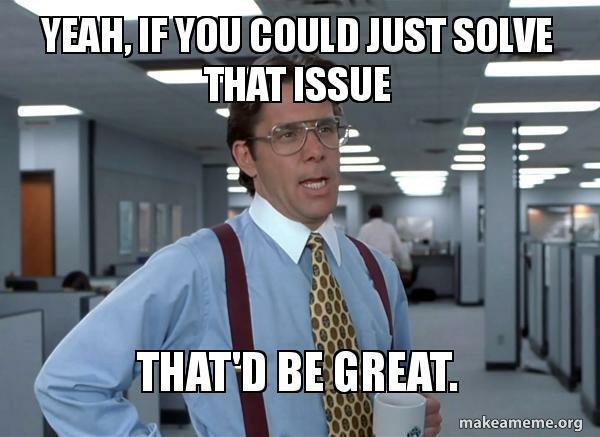 Yeah, if you could just solve that issue, that'd be great. To be clear, are you asking for testing or for actual code changes? I have been hardware testing the code, and it hasn't been working. So yes, actual coding. Let me know if you're interested, and I'll see about giving you the source code. I'm willing to try. But because I have another paid NES project eating a lot of my NES time, I can't guarantee a fix at "push things out of the way" priority. I may still be able to squeeze it in. We don't have a deadline. It's more like a gradient, where like right now it's #5c5c5c and fall is #202020. Yeah, we're lingering, but whatever. We still haven't resolved this issue yet. Seriously, it's not even 30 minutes of work (I think), and we've been sitting on this project for 3 months waiting to release it. I'd be grateful if there's anyone else out there who's willing to help and has the time. The delay was in part because at the time, I couldn't block out time to reinstall cc65 with the C compiler and the C library. I had installed cc65 without C support (that is, essentially binutils65) because all my projects so far have been in assembly language. I will try to get to that today depending on how swamped I am with The Curse of Possum Hollow and/or housework. Expect a lot of PMs. Who knows the IRC or other instant messaging contact details of calima or Jedi QuestMaster? If I'm on the IRC, I go by 'Jedi.' Do you go by 'Tepples' ?